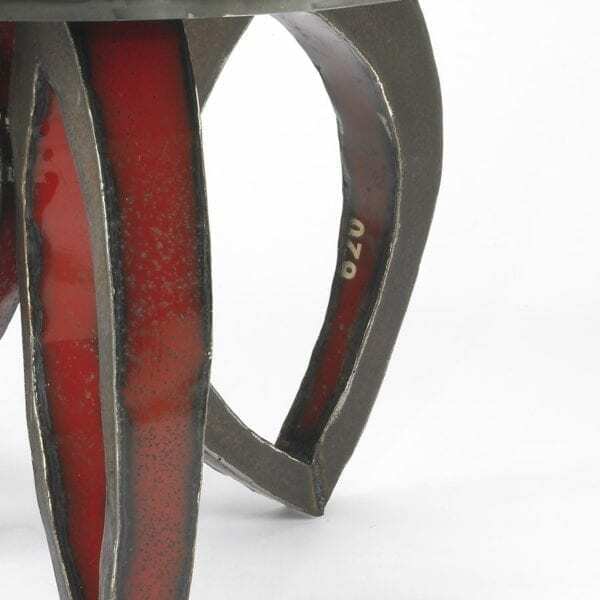 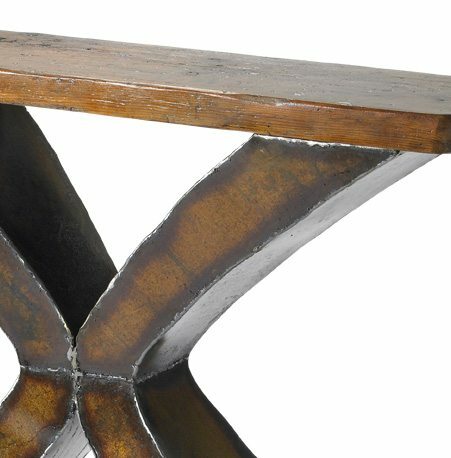 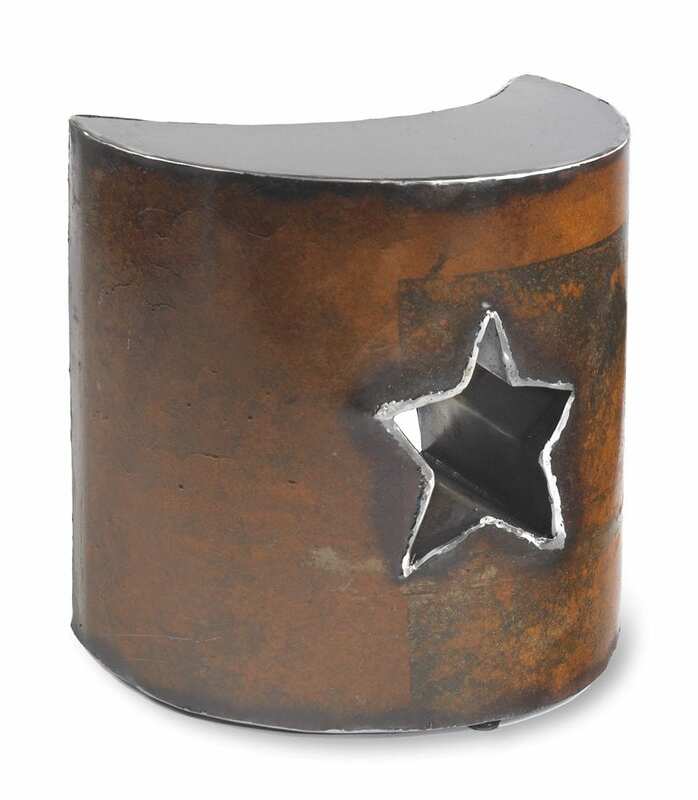 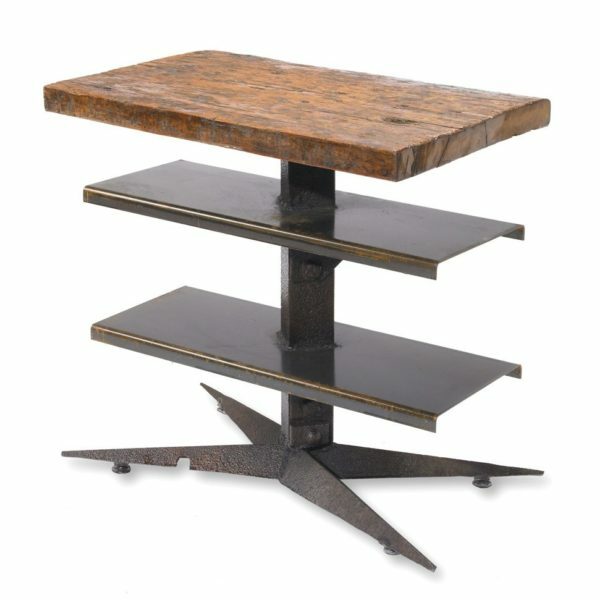 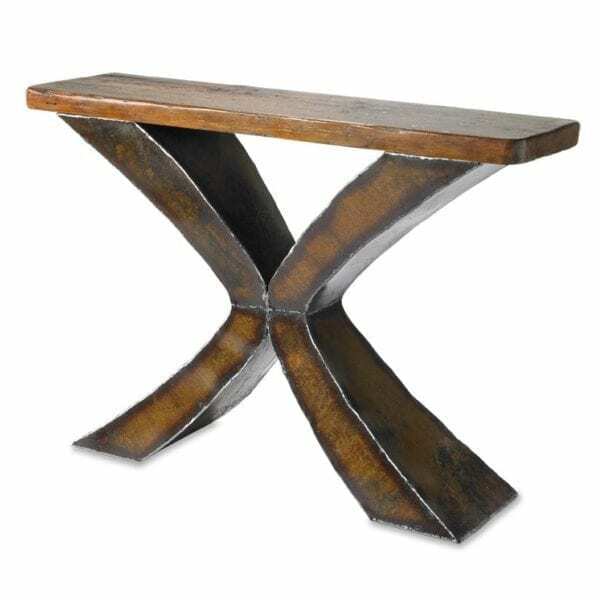 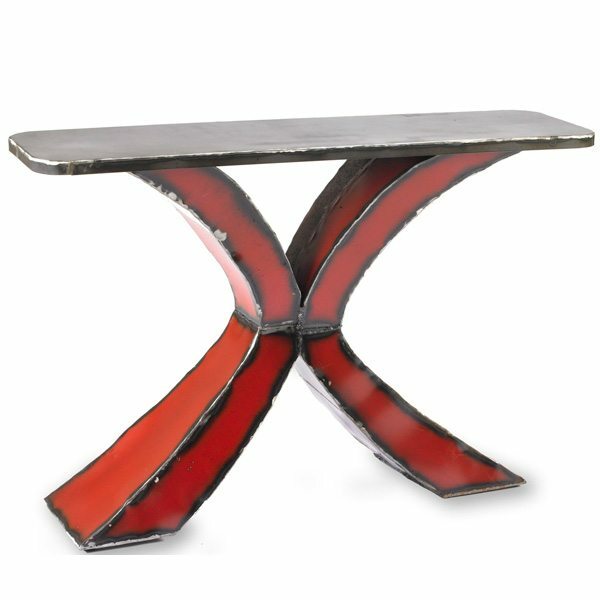 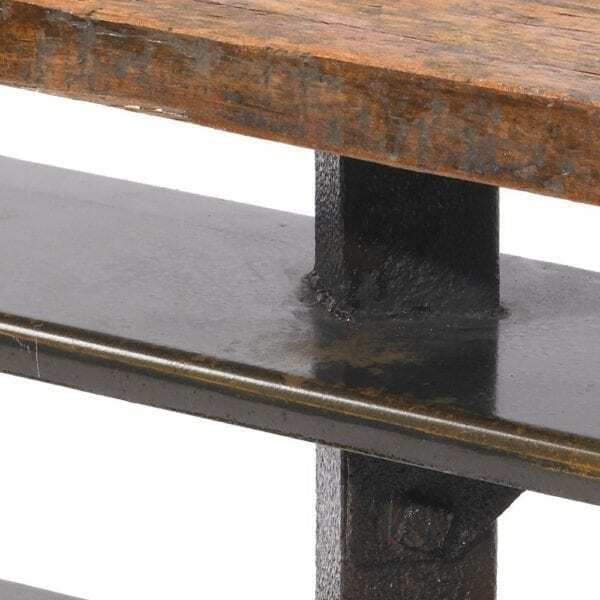 This lovely side table is handmade with reclaimed metal. 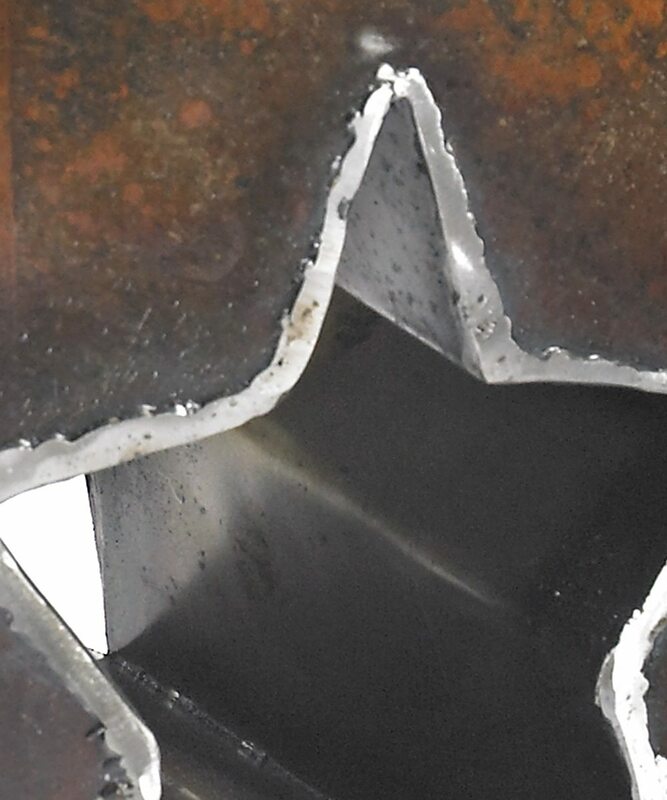 It is in a crescent moon shape. 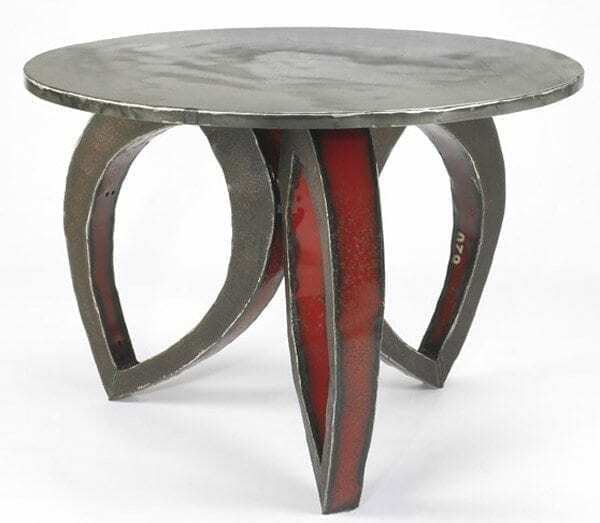 To create this piece, we hand draw the pattern on the metal with soapstone and cut it with a hand held plasma cutter. 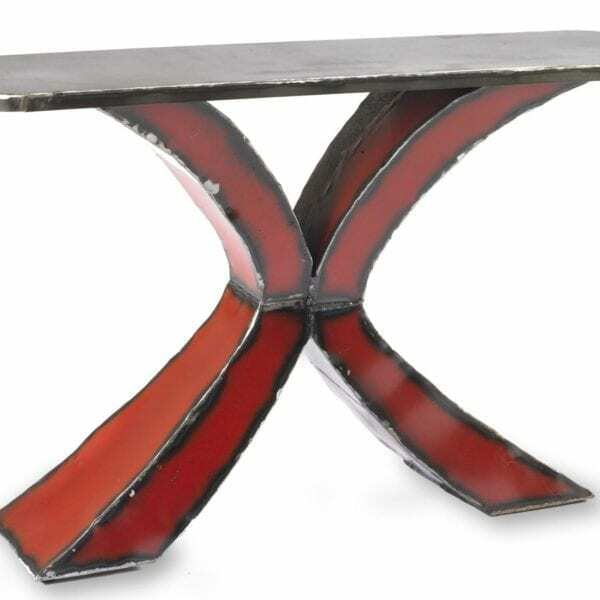 We then hand hammer and weld it into shape.